Nasir Adderley, the Philadelphia native and University of Delaware product, is widely considered one of the best safeties in this class. If the Eagles take him, they'd have to overlook the fact that Adderley played for a small program. In 2018, he led the Blue Hens with four INTs, seven PBUs and 87 tackles in 12 starts. He also returned five kickoffs for 149 yards and a touchdown. Adderley (6-0, 206) is still raw but has first-round talent and athleticism. Even though he projects as a safety in the NFL, he has always played cornerback. That's been important for the safeties the Eagles seem to like under Jim Schwartz. He likes his safeties to have a corner background. Adderley's tape is good, but we don't have any solid pre-draft numbers on him. He didn't participate in the combine and then he got hurt at Delaware's pro day. Teams will need to trust the tape with him. Current roster at S: The Eagles have Malcolm Jenkins and Rodney McLeod as their starters. Their top backups are recently-signed Andrew Sendejo and Tre Sullivan. 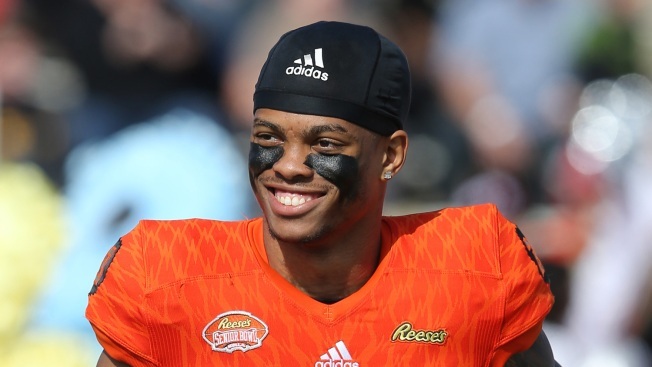 How he would fit: Adderley would be the Eagles' third safety in 2019 and would likely be groomed to become a starter for the 2020 season. That third safety role with the Eagles is important. Eagles' history at S in draft: The Eagles haven't taken many defensive backs at all in the first round. In the modern era, they have taken just three DBs in the first round and none of them were pure safeties: Lito Sheppard in 2002, Ben Smith in 1990, Roynell Young in 1980.